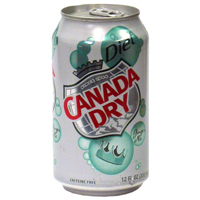 I know you and your carbonation and artificial sweeteners are not the best for me. But you are delicious and contain zero calories. We all have our vices. For a low cal drink I put maybe a quarter cup of OJ and then fill the rest of a tall glass with water. You get used to it after a while. AGREED I love ginger ale. I love diet ginger ale almost as much as I love Coke 0. It's so delicious, and the best when you're sick! Ohh, I've had this but not diet. I don't remember the taste though. It was long ago since the same time I've drank one of these.